DC Water invites you to attend an upcoming public meeting on February 27, 2014 to learn more about the Northeast Boundary Tunnel Project (NEBT). The primary purpose of this 5-mile long, 23-feet diameter tunnel will be to help convey combined sewer overflows away from local water ways and also provide flood relief to chronic flood areas in the Northeast Boundary area of the District. A part of the tunnel is planned to be built under Mt. Olivet Rd NE. The meeting is a follow up to DC Water’s meeting and open house held on October 17, 2013. 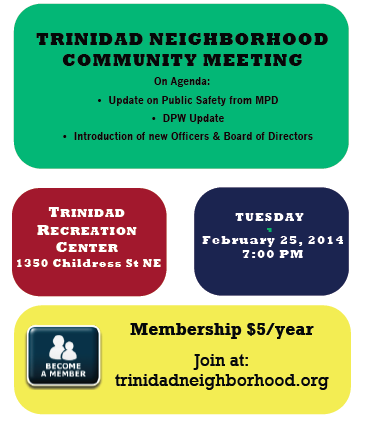 For more information or for individuals requiring special assistance at the meeting, please contact DC Clean Rivers Community Outreach at (202) 787-4447 or by email at dccleanrivers@dcwater.com.